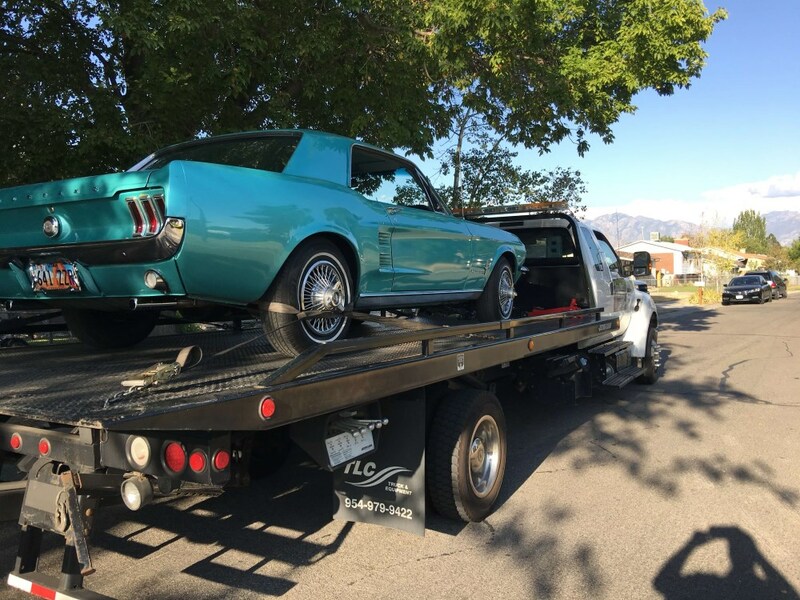 South Jordan Towing is one of the most reliable towing companies in Utah that offers a wide spectrum of towing equipment and personnel to deliver services par excellence every day. We always ensure that our tow trucks, staff and equipment are ready to help you any time you need our services. We have highly skilled and trained personnel who conduct constant maintenance on our tow trucks and other equipments to ensure that you can get back on the road in South Jordan, Utah, as quickly as possible in all weather conditions. Our flatbed towing services in South Jordan, Utah, are well above excellence. Our tow trucks are used for a range of vehicles that include 4-wheelers, motorcycles, medium duty vehicles and sports cars. We have specialized tow trucks that are equipped with ramps which can be used for all types of cars. Why Choose Our Flatbed Tow Trucks? Flatbed tow trucks are among the best choices for safe and easy towing of vehicles. It is known as flatbed tow trucks mainly due to its flat bed like appearance. It is time saving and cost efficient as you can easily transport two or more vehicles at the same time. The truck beds have ample amount of space to transport vehicles damaged due to accidents. How Does our Flatbed Tow Trucks Work? Quite unlike other towing techniques, our flatbed tow trucks are designed to roll back on a specific angle so that your vehicles can drive onto the bed directly. It can also be winced up easily to avoid any type of wear and tear that might occur during other towing processes. Once your vehicle has been onto our truck, the bed will lower to its original resting position and secure your vehicle. Our towing truck is then ready to be towed to the required destination. Our flatbed two trucks are exclusively designed to lift and tow vehicles with low ground clearance. It is one of the best options for fragile vehicles that can seldom be towed using other techniques. Our towing services are apt for damaged vehicles due to accidents as we ensure prompt and safe services. What Can Our Flatbed Services Do For You? At South Jordan, we ensure that our flatbed towing services meet and exceed our client’s expectations. Our state-of-the art technology has enabled us to provide the best towing services for all types of vehicles. Our extensive knowledge of vehicles coupled with the use of modern technology has earned us high reputation among our loyal customers. In case you need a flatbed tow in Utah, let South Jordan Towing know your requirement. Do give us a call and we will be on our way!